The biggest news coming from the 2014 Larry H. Miller Tour of Utah regarding local cyclists was the retirement of long-time favorite Jeff Louder. The biggest revelations, however, were the strong rides from some up and coming youngsters. Louder made an emotional announcement at the Tour of Utah team presentations in Cedar City and spent the rest of the week racing his heart out – joining several breakaways in trademark style and doing whatever was asked to try and boost the chances of his United Healthcare teammates for overall success or stage wins. 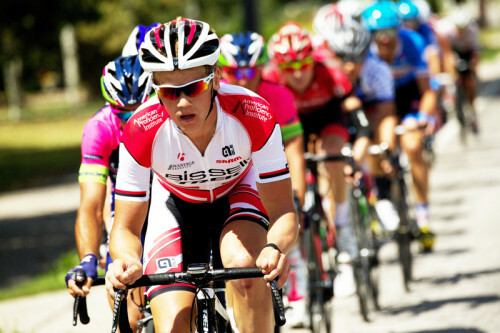 Park City brothers Tanner and Chris Putt both had solid weeks in the saddle for their Bissell Development Team. Tanner was involved in a handful of breakaways and also in the mix in most sprint finishes with some solid Top 10 results. Tanner wore the Best Young Rider jersey for a while and even enjoyed an overall Top 10 position for the first few stages of the race. Tanner Putt finished 35th overall, 50 minutes and 57 seconds back. Best Yourg Rider jersey early in the race. Photo by Cathy Fegan-Kim, cottonsoxphotography. 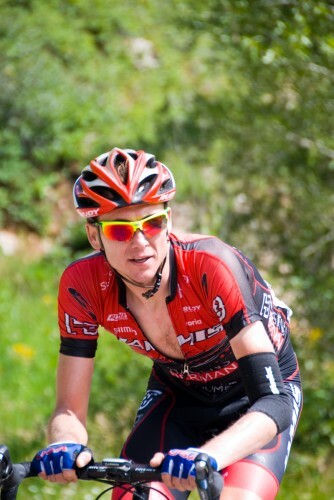 Chris Putt raced in his first major stage race. As a domestique, Chris labored hard to deliver his brother and team leaders solid results. Though not a featured rider, Chris Putt’s efforts did not go unnoticed as he finished 58th out of the 92 riders to complete the race. His time was 1:12:59 back of Tom Danielson’s winning effort. Louder, likewise, had a solid week of racing. The veteran served his team well when needed and conserved energy for another day in front when able. The last time Louder will race the Tour of Utah, 2014 saw the popular rider cross the finish line in Park City with a 1:26:44 gap. Perhaps the most impressive week belonged to Jamis-Hagens Berman rider Robbie Squire. The Utah native was simply solid all week long with routinely strong showings while flying somewhat under the radar. Squire placed 21st overall and was just 14:50 behind the winner.